John Rutherford was an Englishman who arrived in New Zealand about 1816 aboard a whaling ship. 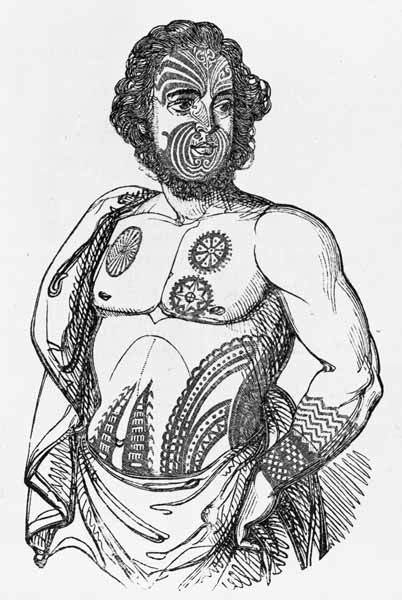 Some of his crew were killed by Māori, but Rutherford was adopted by the tribe and fully tattooed. He learned to speak Māori and was made a chief. Pākehā–Māori like Rutherford were among the first bicultural New Zealanders.